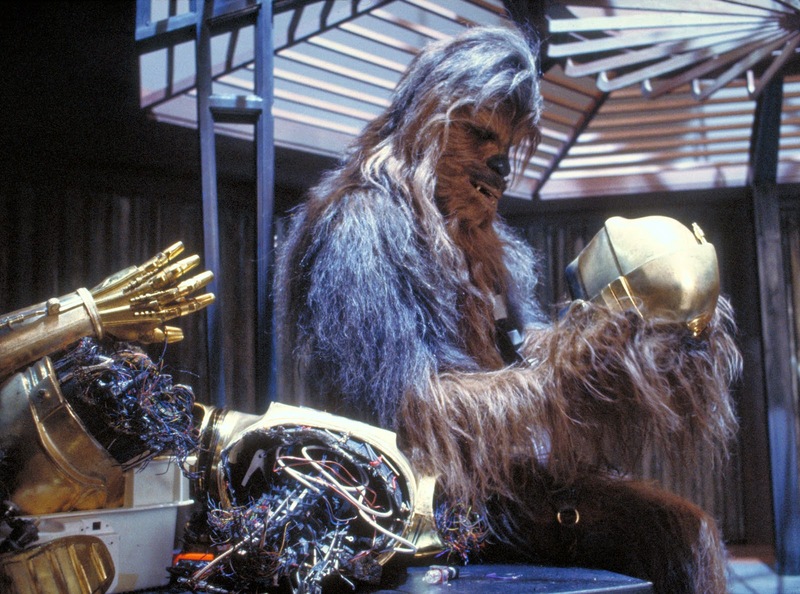 Ever notice how easily Luke repairs C-3PO’s arm in Star Wars? That’s a universe where severe damage to a lifelike robot (a pretty advanced device in our world) can be repaired by a teenage farmhand using only the tools he had in his trunk. And you know something? No-one stood up in the theater and objected. They probably didn’t give it a second thought. Now, this is partly because Star Wars has already shown us a world where hyperadvanced technology is pretty commonplace – no more unusual than cars and appliances in our world. It’s exciting that Luke gets to grow up and fly a spaceship, but it's no more exciting than for a modern teenager to grow up and fly an F-16. But it’s also because of The Way Skills Work In Stories. Even plot points that are far more important are handled this way in the movies. In the Ocean’s films, everyone routinely passes Intelligence and Contacts rolls that ought to be enormously difficult in the real world. I guess what I’m saying is, people (usually) play RPGs to experience an adventure that’s like the movies. So shouldn’t skill checks work the way they do in the movies? As a GM, I’ve spent lots of time worrying about DC because I’m trying to make it “realistic.” I don’t want to make it too easy. But skill difficulty should be based on genre, not realism. Whatever skills these characters use every day (and if it’s a high fantasy setting, that might mean casting certain spells – if it’s an “elite thieves” campaign, that might mean lockpicking or picking up intel) you can really keep it simple: any normal lock is easy for these PCs to pick, and only extraordinary locks are hard. In other words, the lock on a tavern pantry can be about the same as the one on a wealthy merchant’s front door, since neither one is going to have anything plot-shattering behind it. Now, the one on the bank vault or the crime boss’s door, that one should be tough. One more point: when your players are picking a lock, remember that it’s really all about story, not the lock. If they get it open, then fine – simple as easy as reattaching a droid arm, you might say – and adventure awaits on the other side. If they don’t get it open, then *gasp* this must be some kind of Extraordinary Super Lock that’ll require a different tool, a tip, or even a side adventure to get it open. …And of course if they fail on an easy lock, you can just quietly change it to an extraordinary lock, as if it had been that way all along. Why would there be such a diabolical lock on this seemingly normal cabin? What secrets does this humble facade conceal? Questions like that make it as much an adventure for you as the players. 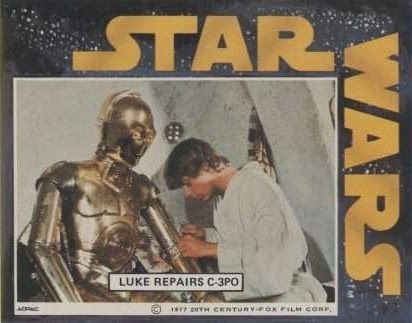 Bonus Fun: while searching for pictures of Luke repairing C3PO, I found this picture. I guess the real skill check in this scene was being able to breathe in there. Bonus Fun: this truly incredible piece of literary criticism that will blow your mind and make you question everything you ever believed about Star Wars or about yourself as a person.